New 2017: Pressure & Vacuum from -900mb to 6000mb on the same channel. 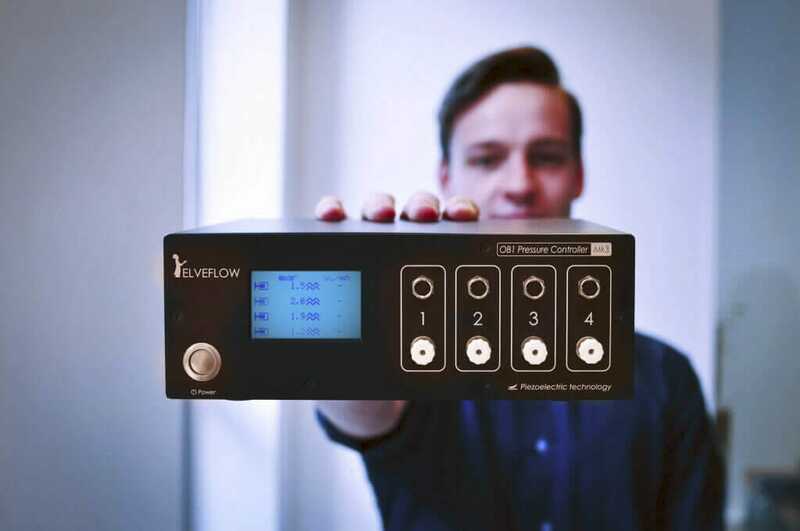 Elveflow® provides the only microfluidic flow control system in the world to use patented piezoelectric regulators, enabling a flow control that is 20 times more precise and 10 times faster than the other flow controllers on the market. 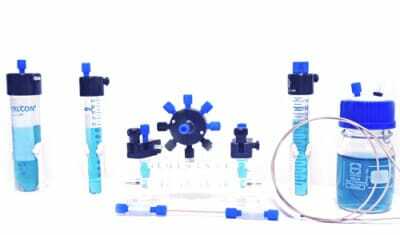 You will never be limited by flow control factors in your experiments. 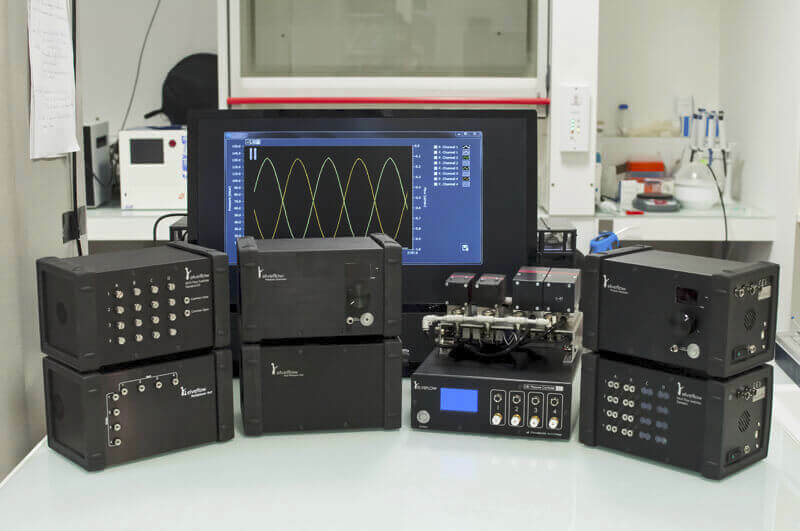 Our system is scalable & customizable (OEM version) and allows you to control up to 4 channels independently, from -1 to 8 bar for a wide variety of advanced microfluidic applications. 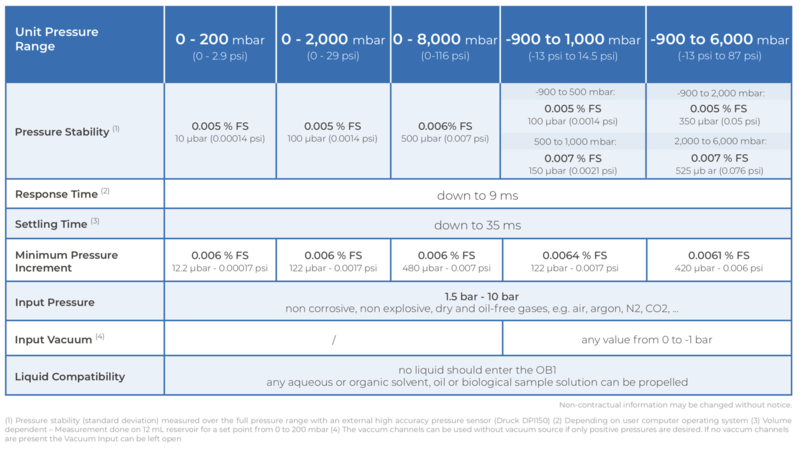 "THE PIEZOELECTRIC TECHNOLOGIES USED IN THE OB1 MK3 PROVIDE THE WORLD’S MOST ACCURATE FLOW CONTROL FOR YOUR MICROFLUIDICS EXPERIMENT"
Range Choose the number of independent channels from 1 to 4 and mix any combination of pressure range on the same OB1. Pressure & Vacuum The OB1 is the only flow control instrument that allows you to control pressure & vacuum on the same channel. 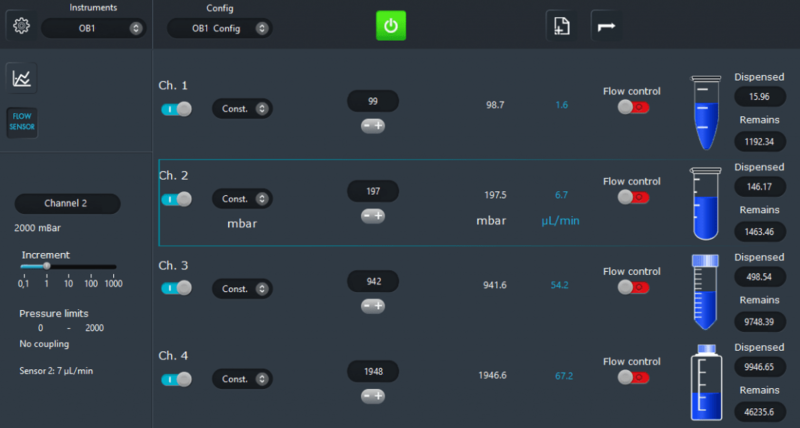 For example, this feature enables you to precisely control the position of an object within a microfluidic channel. Performance Pack In-house piezoelectric optimization & calibration and a challenging bench testing of technical features enabling such performances. 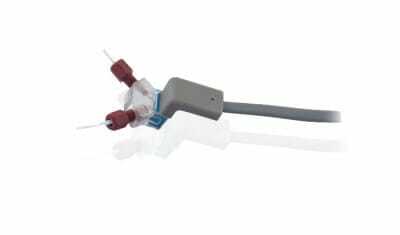 Fully customizable & OEM The OB1 Mk3 can be modified to fit almost all specific microfluidic requirements. An OEM version is available and can decide to upgrade your system at any time. 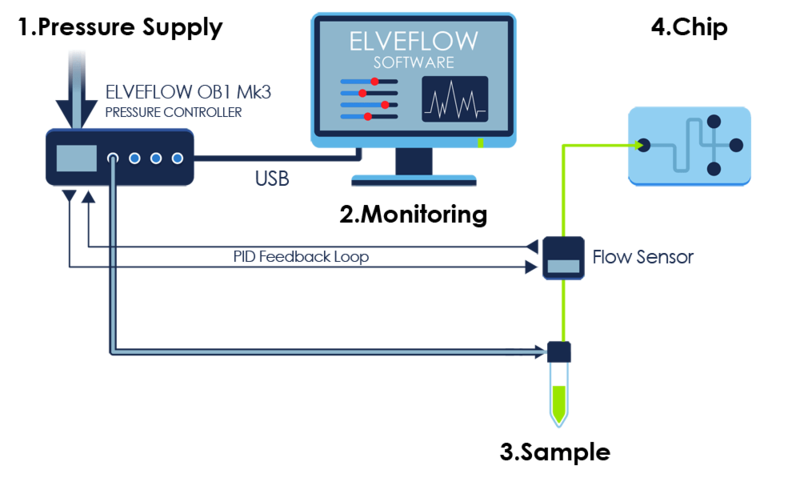 Easy to use & powerful Elveflow software full suite, which enables you to control your experiment in one click and to monitor reservoir levels, flow levels and injected volumes. 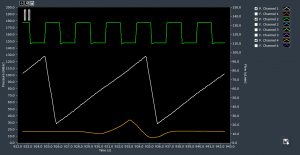 Synchronize the Elveflow instruments in your system with a few simple clicks in order to fully automate your setup. 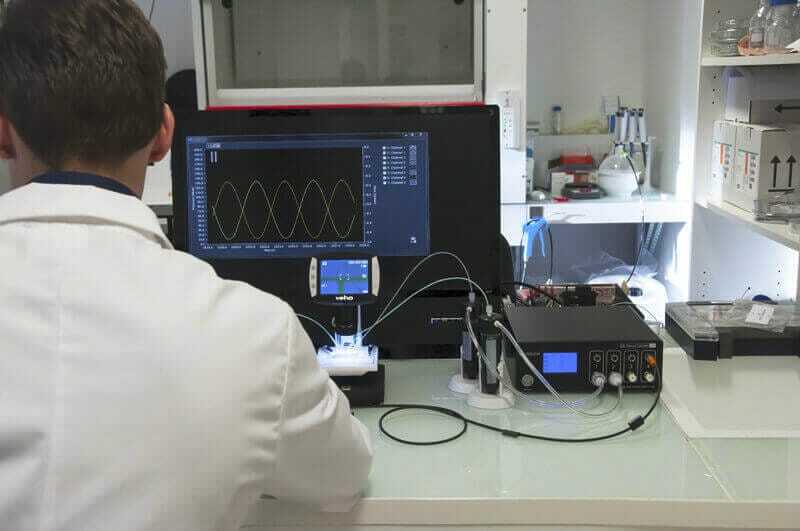 Complete setup synchronisation The OB1 Mk3 is equipped with internal & external trigger connectors and can thus be synchronized with any other Elveflow® product, a microscope or any electrical instrument… and enables the synchronization of up to 16 instruments simultaneously. 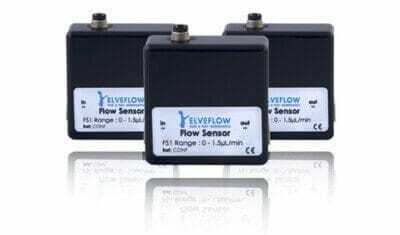 The flow control mode (OB1 + flow sensor) enables rapid and precise regulation of the flow rate. 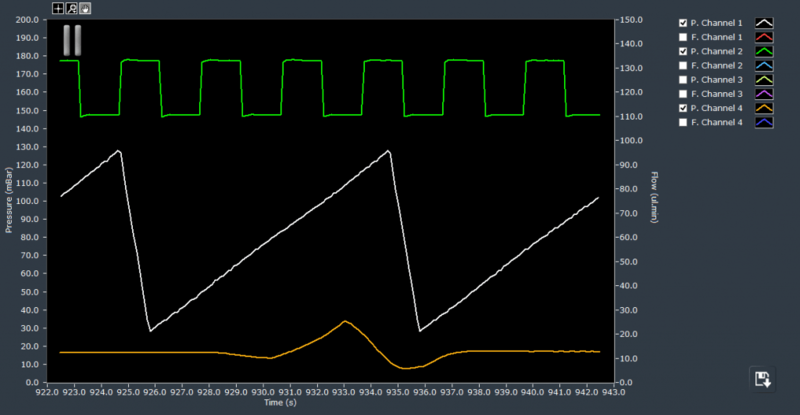 With the OB1, you only have to calibrate your flow sensors once and it will function with any chip and any setup. 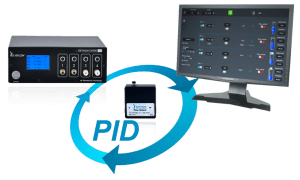 In addition, the consistent speed of our pressure controllers means you no longer have to choose between speed and precision, even when working with multiple dependent channels. Each channel of your OB1 Mk3 pressure controller can be coupled with a flow sensor. 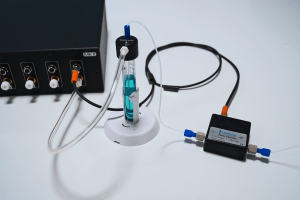 Using our feedback loop, you can monitor and control flow rate in your microfluidic setup while keeping stability and responsiveness of pressure driven flows. The OB1 Mk3 technology enables fast pressurization of tanks up to 1 liter and enables you to set up long term microfluidic experiments. Each outlet can be coupled with an additional flow meter. 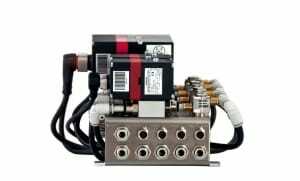 The OB1 Mk3 pressure controller can be prepared with up to 4 independent pressure control units. 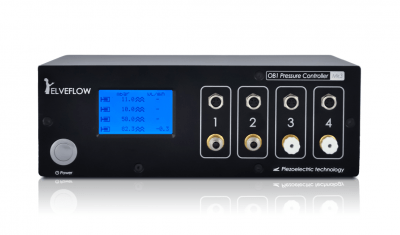 New OB1 MK3: Covers a pressure control range from -900 mbar to 8 bar. 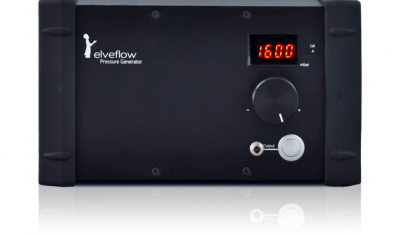 The following table summarizes the main features of the Elveflow® OB1 Mk3 pressure controller. 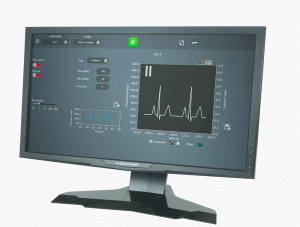 To provide quality & performance, all of our instruments are tested and calibrated independently (response time, stability, repeatability… ) and all result charts are stored. 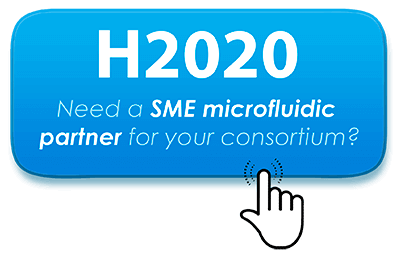 According to Elveflow® product code convention, «OB1 Mk3 200» stands for an Elveflow® pressure controller consisting of 4 units with 200 mbar of maximal output pressure. 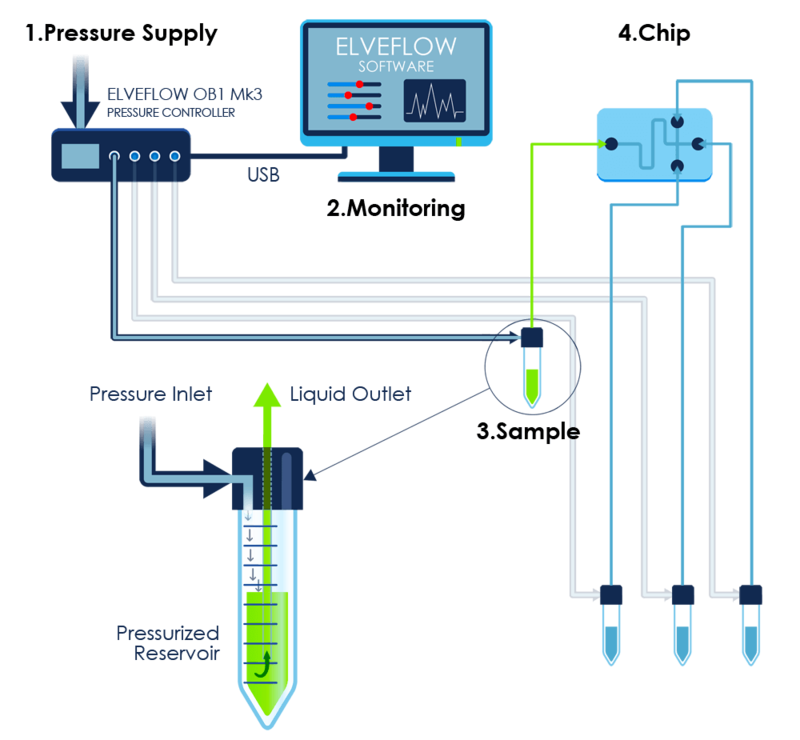 «OB1 Mk3 Mix» means an Elveflow® pressure controller with mixed output pressures. 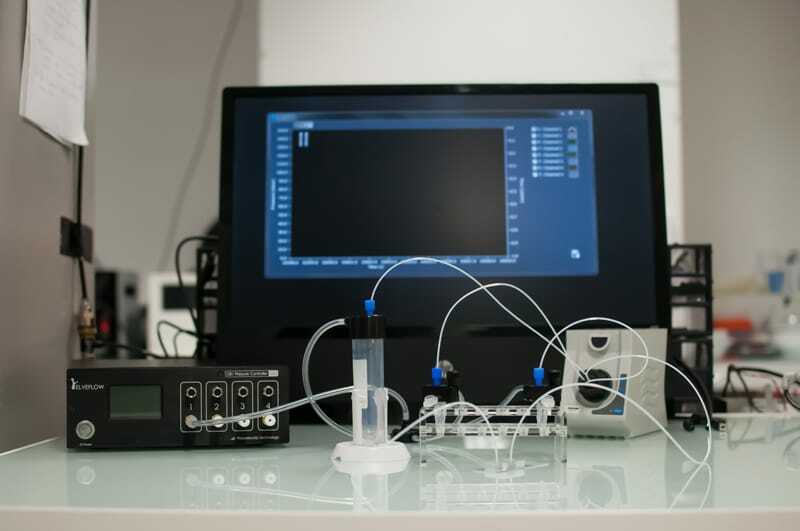 Due to the physical compliance of your fluidic systems, performances can change from one researcher’s setup to another. The pressure can be easily adjusted for up to 4 independent channels. 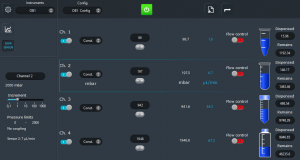 Store up to 4 different pressure configurations and switch from one to another in a second. 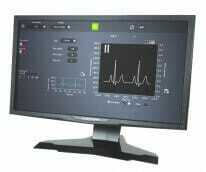 Complex pressure and flow rate profiles such as ramp, sine, square and triangle can be defined. 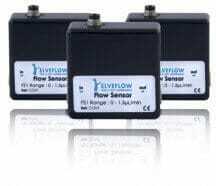 When used with a flow sensor, a feedback loop with adaptable sensors allows for a direct flow rate control. 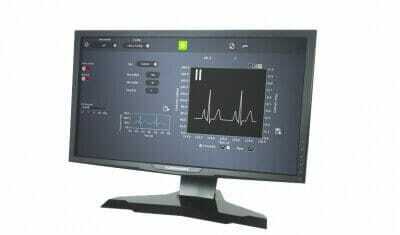 Real time pressure and flow rate are monitored and can be saved for later studies. 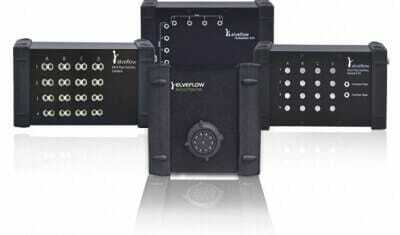 When used with a flow sensor, a feedback loop with adaptable parameters facilitates a direct flow rate control. Each one of our instruments goes through a demanding test before being sold. This challenging process minimizes after sale service and allows us to offer a two year warranty. PRESSURE SUPPLY: Connect a dry, dust and oil free pressure source to your instrument. CHIP: Pressurized liquids are smoothly and precisely injected onto your chip according to the set pressure or flow rate profile.